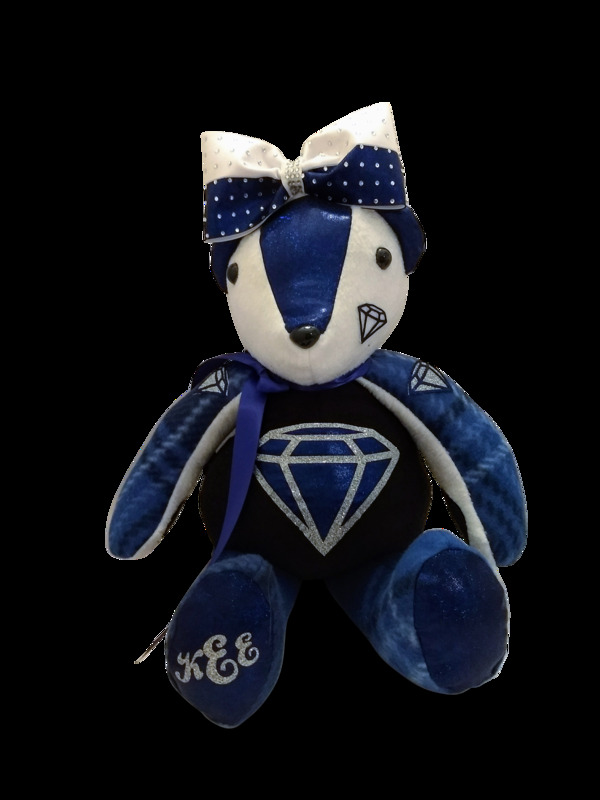 Show your KDA Diamonds team Spirit! Bear is made of soft fleece with fabric highlights made of the same material as your cheer or dance uniform. The team logo is featured on the belly. The bow is detachable and comes with a pony-o attached so you can wear it yourself! View even more samples in our Spirit Bear Gallery! Nose & eyes are child proof, won't come off. Cheer bow: 3" tall with pony-o, comes off so athlete can wear it too!